Classic retailers are afraid of showroomers. These shoppers look around your store and ask for your expert advice only to go home and order the product online. This fear is justified: a study has shown that 46% of Americans have been known to ‘showroom’. However, the same study also revealed that ‘reverse showrooming’ is an even bigger trend. 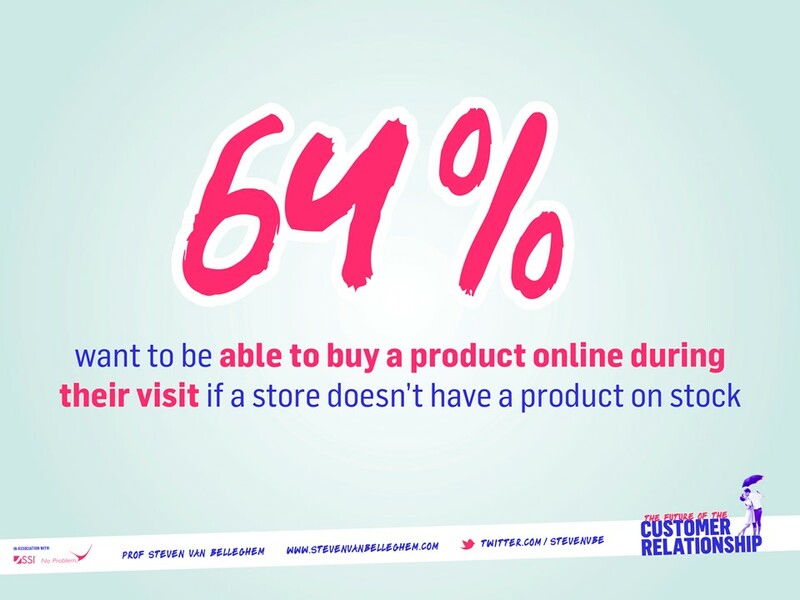 69% of consumers research products online and then visit an offline store to order the product of their choice. 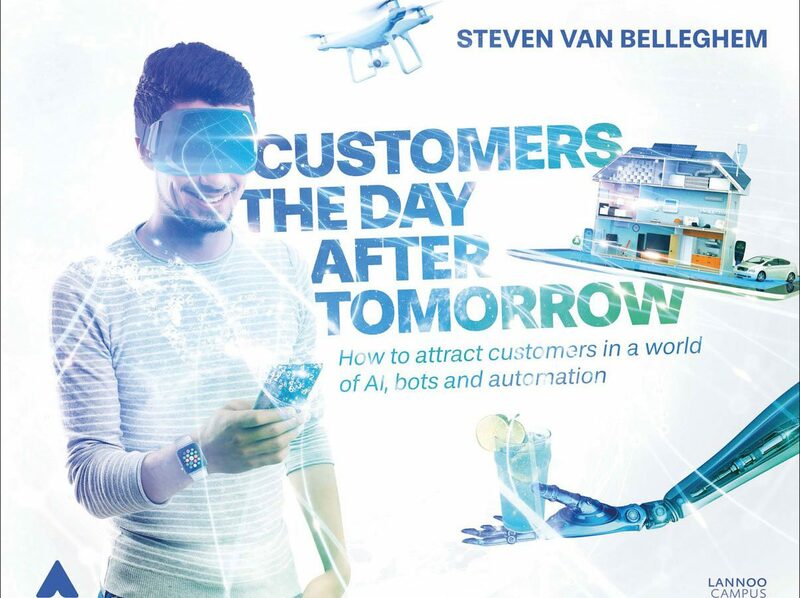 I recently conducted a global study on the future of the customer relationship in collaboration with data collection company SSI and translation agency No Problem!. One of the aspects of the study takes a closer look at changing consumer expectations with regard to the OFFLINE shopping experience. 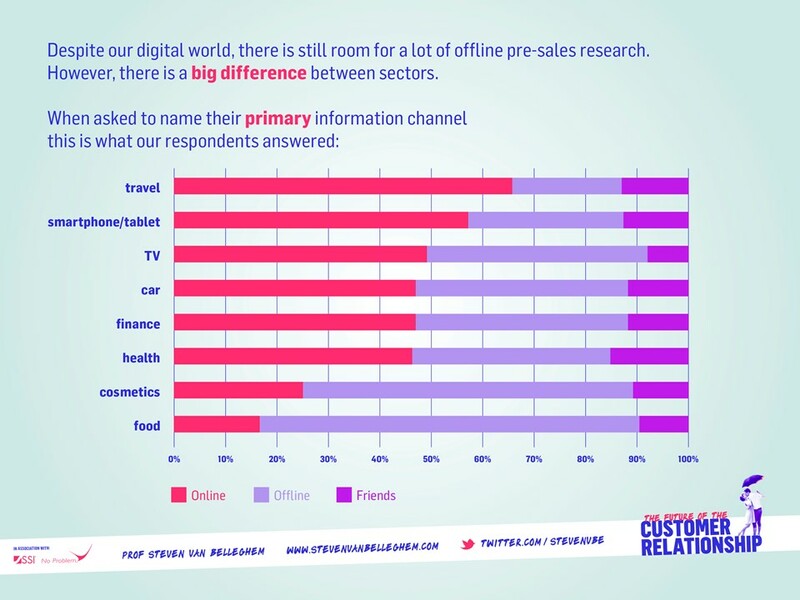 The results are clear: consumers expect the online and offline worlds to integrate in the near future. Our first instinct tells us that consumers across all product categories research their target before making the actual purchase. This is true in most cases but not all. In deciding their strategy, marketeers should take into account the nature of their sector. For instance, stores are still the primary information channel for the purchase of food and cosmetics; conversely, almost the entire pre-sales phase for travel and technology products takes place online nowadays.The higher the customer involvement, the higher the importance of online pre-sales. 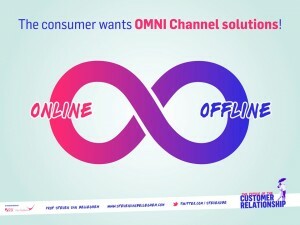 Our study shows that consumers expect an increasing level of interaction and digitization in the offline sales outlets. 63% expect stores to install interactive screens enabling consumers to look up more details on specific products during their visit. 64% want the option of ordering a product online right away if it’s not on stock. The latter figure illustrates the evolution of offline toward online and back again. What’s more, 73% of consumers feel it’s a plus when an online store also has an offline sales outlet. Flexible pickup and delivery options will become a crucial part of any retailer’s online strategy. A growing percentage of people – currently one in three – expect sales personnel to know that they checked out a product on the website prior to their visit. 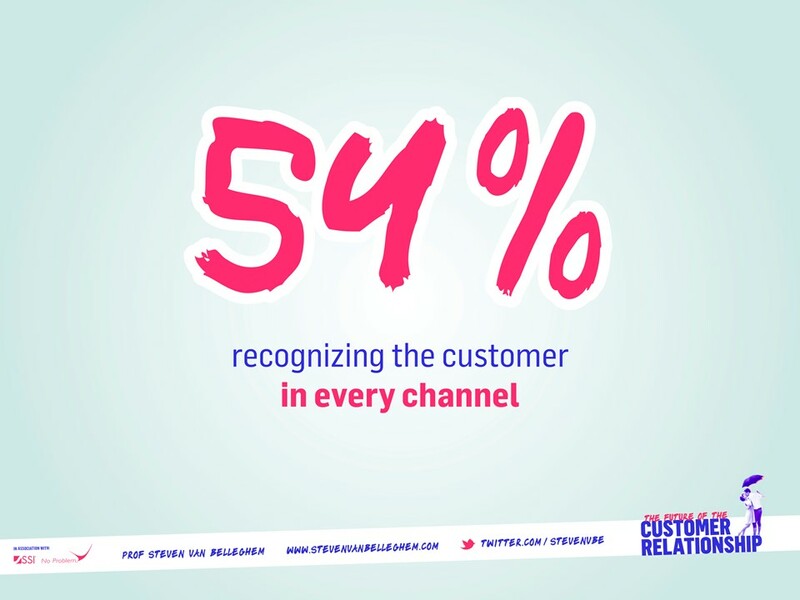 The key issue for consumers is to be recognized as a customer across all channels. Consumers exhibit a growing aversion to repeating themselves. They want to hear the right answers right away without having to tell the same story over and over again. Strikingly enough, this phenomenon is roughly the same all across the globe. There’s the odd exception here or there but all in all the major trends are comparable worldwide.